There are three different models offered in the Tener Bike Rack series which can carry two, three, or four bikes. The arms can fold down when not in use for easy storage. There are three different models offered in the Tener Bike Rack series which can carry two, three, or four bikes. The arms can fold down when not in use for easy storage. These racks also have spring-loaded tilt lock mechanism allowing for rear hitch access. 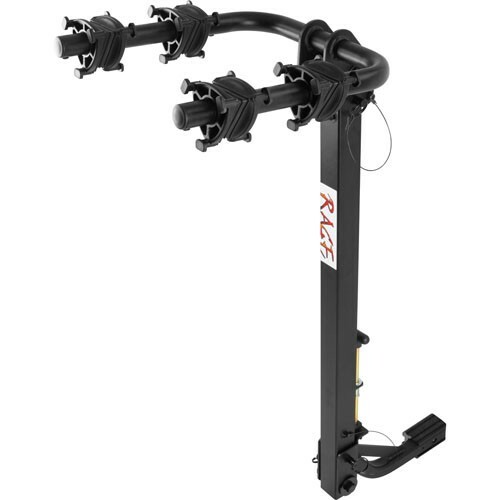 They work with 1-1/4" Class II hitch receivers and includes a 2" Class III or IV adapter and pinch-bolt. - Weight Capacity for all Tener Bike Racks is 150 lbs.